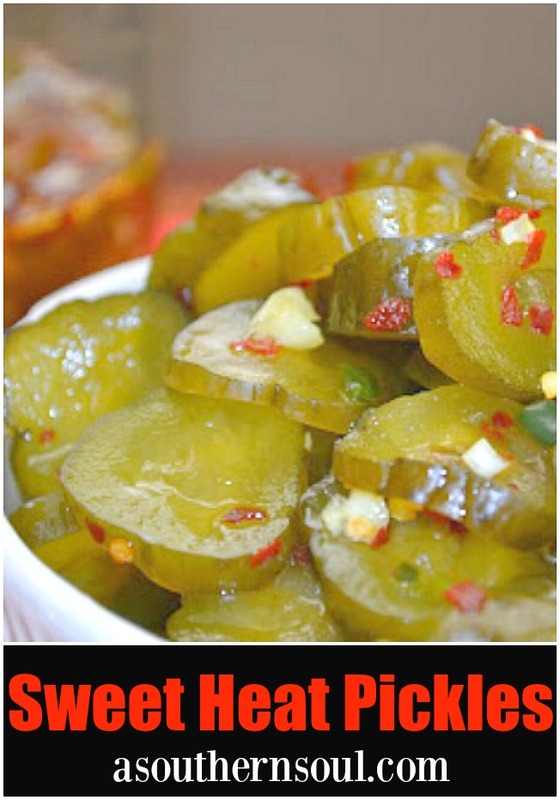 Hot, sweet pickles that are amazing on top of burgers or BBQ but are also perfect for nibbling. 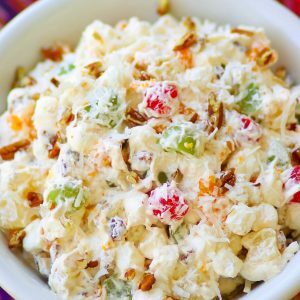 Their surprising flavor will have you wondering just why you’ve never made them before! 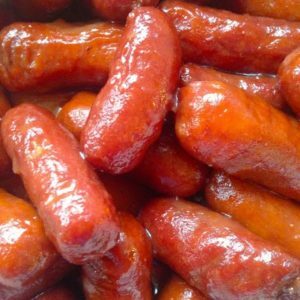 Since everyone has their favorite dishes in mind for game day for the football playoffs, I decided to add a little something unexpected to liven things up. Some dishes on my menu are obvious like, pulled pork, homemade dips, a couple of great desserts but something was missing and I wanted to try a new “accessory” that would work with one of the main dishes. 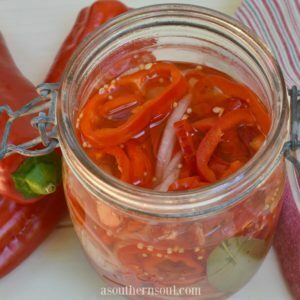 When I saw this recipe from another blogger friend, Mary at Deep South Dish, I knew I had to make my own version of these “re-pickled” pickles. 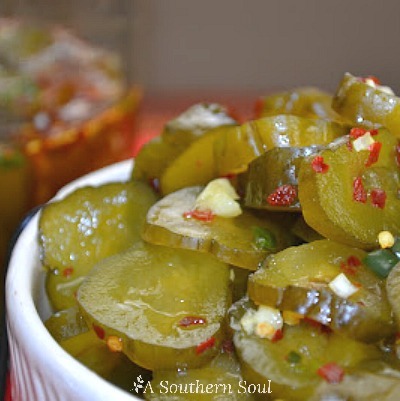 The recipe ingredients might sound a little strange, but once you bite into one of these pickles…you’ll know why they are the star on any menu! 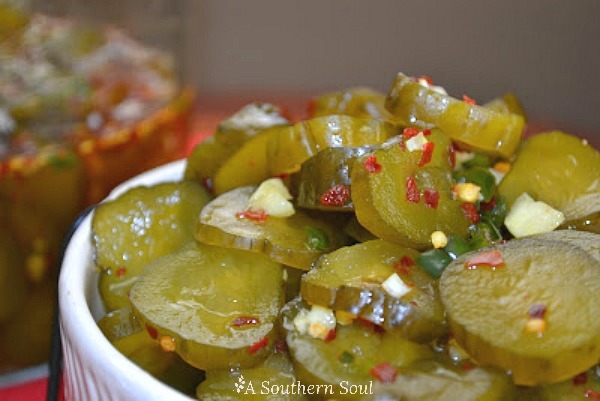 So, take a chance, throw the “Hail Mary” pass and try these pickles – they’ll score big on game day! I might have to make more tomorrow cause I’m not sure I’ll have enough left for the party! 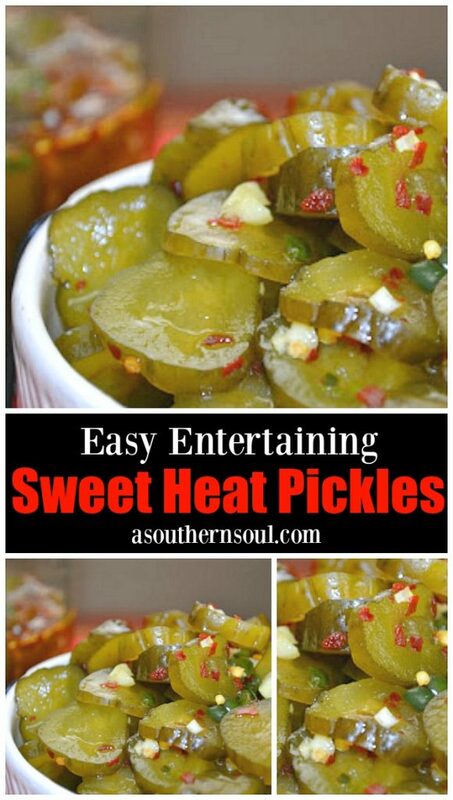 Sweet Heat Pickles will leave you wondering why you haven't made them before. Drain pickles and discard juice. Save the jar to store pickles in later. Slice pickles into 1/4 to 1/2 inch. Begin layering into a larger jar: 1-1/2 cup of pickles per layer. 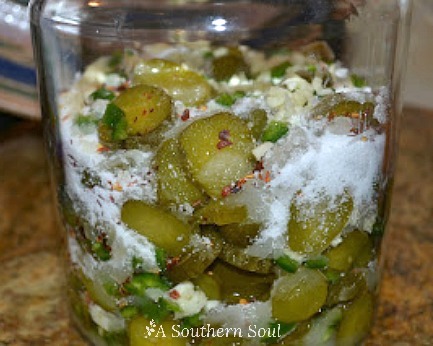 Top the pickles with 1/2 cup sugar, 2 cloves of garlic sliced or chopped, 1/2 teaspoon of red pepper flakes, and 1/2 teaspoon of chopped jalapeño. Repeat layers until all pickles are used. Pour any remaining sugar on top. Cover jar and store on the counter for about an hour, or until the sugar begins to liquify. 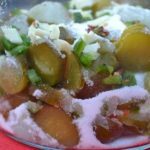 Stir or simply shake to mix the pickles well, and pull any undissolved sugar up from the bottom. Cover and leave on the counter for several more hours, or overnight. Stir and refrigerate 1 to 2 additional days. 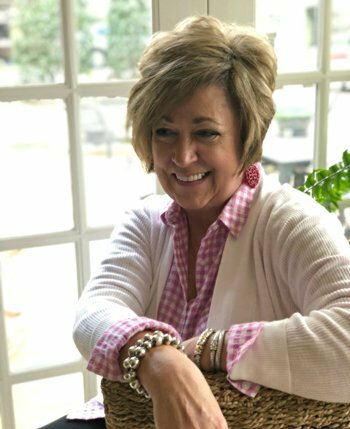 Make sure to follow A Southern Soul on Pinterest and Instagram! These look delicious! I love pickles with a little bit of heat on them. Really great for hamburgers! Thanks for sharing! You are so welcome, Billy. I agree on hamburgers. I’m sure I’d love these. I buy something similar at our local Piggly Wiggly and made by Wickle’s. Maybe, I’ll get around to your recipe during 2018.